Not available until cooler weather. Stone Therapy is classified as the geo-thermo-hydro-therapy. This means that it involves the therapeutic use of stones that are heated or cooled in water. 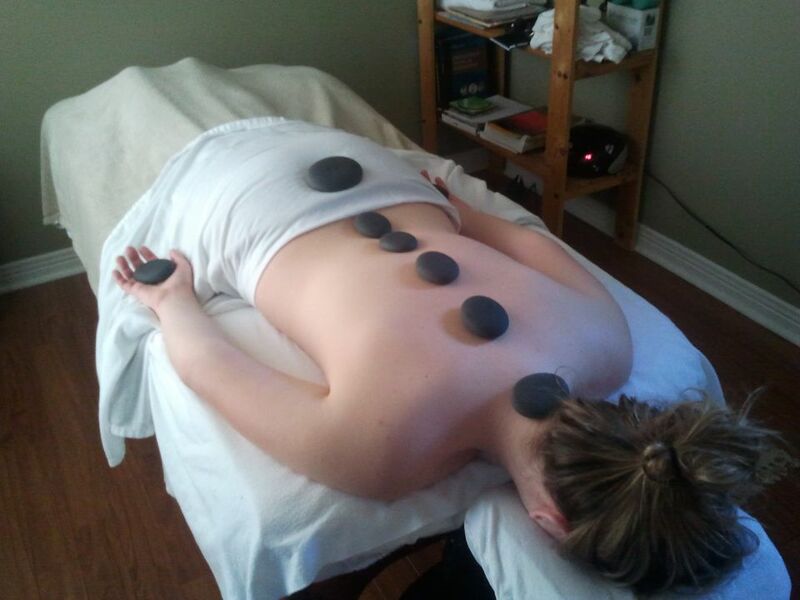 Hot Stone Therapy combines massage with the application of hot or cold stones which are either massaged over the body or placed in specific areas. The combination of Relaxation Massage and Hot Stone Therapy is definitely an experience that keeps clients coming back for more. I invite you to experience it for yourself by visiting my appointment book to book a session with me. I look forward to seeing you soon! **Those who have conditions like: Cancer, High Blood Pressure, Diabetes, Varicose Veins, Pregnant, Multiple Sclerosis, Kidney/Heart disease, Fibromyalgia, Arthritis, are Elderly or Young are asked to seek permission from their Doctor before treatment can commence.